You will find this feature buried in the settings under "Live guide." 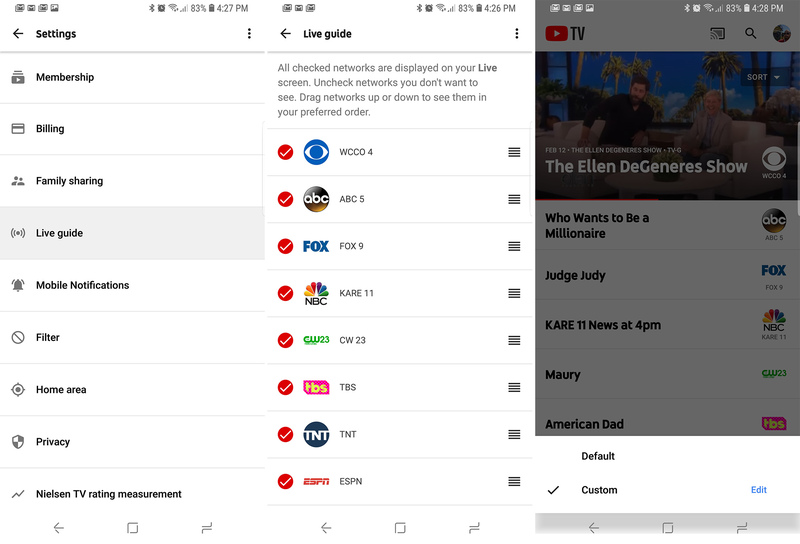 Hop into that menu and you get a full list of channels for your area. You can tap the checkmark to hide a channel and drag with the handle to change the order. Since I don't watch sports, I just hid all the sports channels. That's handy. If you really like sports, you can move them to the top of the list so they're quicker to access. Upon visiting the Live tab in your app, you'll get your custom list. However, you can use the "Sort" drop-down at the top of the screen to choose between custom and default. If you don't have this feature yet, give it some time. It'll show up.